it has now become so popular it has been requested on its own for meditation, yoga and more. 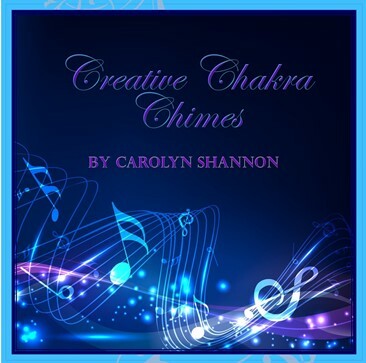 When Carolyn needed background music for her Art from the Heart Adventures Audio Workshops she had a vision of sitting at the keyboard and just doing it. S o she hooked the keyboard up to a tape deck, then proceeded to sit on the floor and play. While doing so she visualized each of her chakra centers clearing then blossoming with energy, while asking for her Angels to assist her. It wasn't until after she had stopped that she noticed her cat, Sammy was sitting behind her with his back touching hers. To this day she believes he was helping as well. Download Mp3 NOW for Only $4.99!